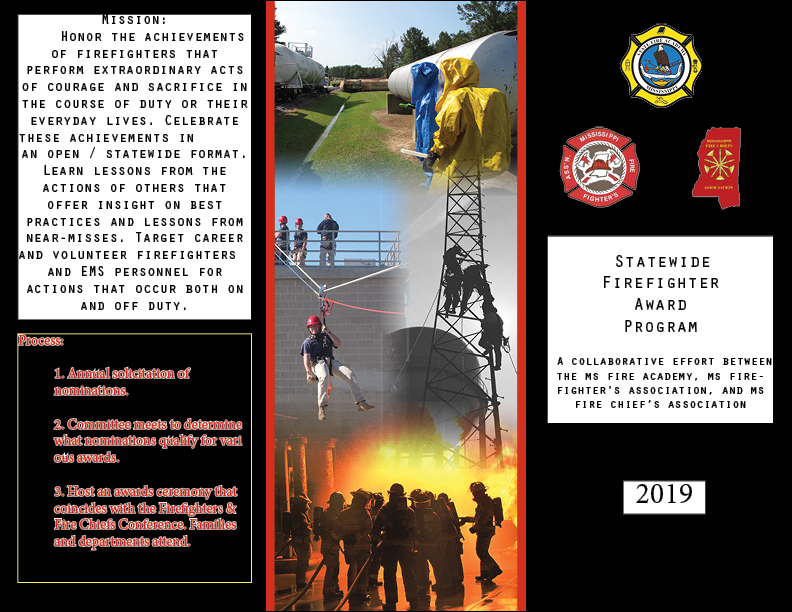 The Mississippi State Fire Academy, the Mississippi Firefighters’ Association, and the Mississippi Fire Chiefs’ Association are pleased to announce the first annual nomination period for awards celebrating acts of courage and sacrifice in fire and EMS. The nomination period will be open for a period of approximately eight weeks. Nominations are limited to personnel performing services in the State of Mississippi whose actions took place during the calendar year of 2018. Committee meets to determine what nominations qualify for various awards. Host an awards ceremony that coincides with the Firefighters & Fire Chiefs Conference. Families and departments attend. Nominees will be selected and contacted by the committee prior to the presentation of awards. 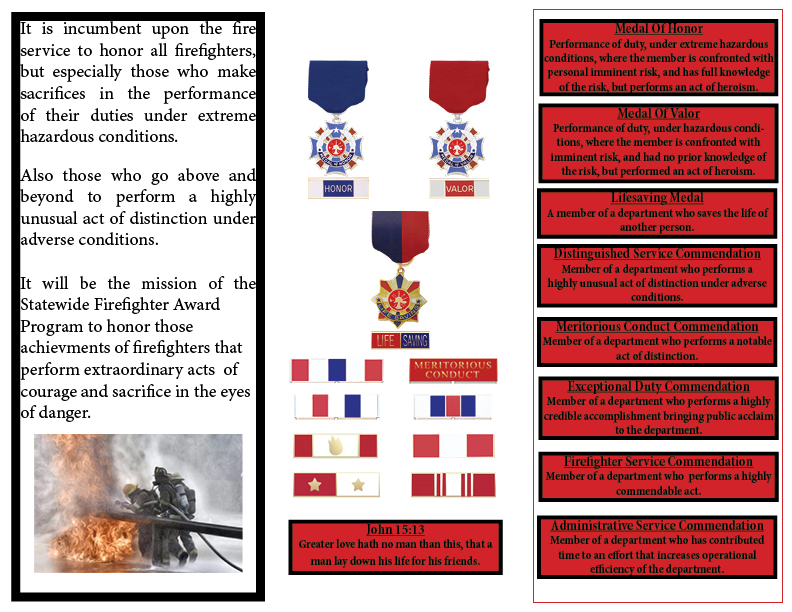 The awards will be presented Saturday night during the banquet of the Mississippi Firefighters and Fire Chiefs Conference. The various awards criteria are attached below. The selection committee will do its best to match the awards with the personnel’s actions.